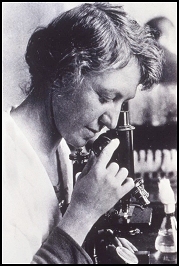 This image of bacteriologist Dr. Ida A. Bengston (1881-1952), was taken from the U.S. Public Health Service records. Source: CDC PHIL library. Did you know that public health is responsible for greatly increasing the life expectancy of the citizens of Texas? The Board of Trustees chose the Virtual Museum to “celebrate the living legacy of public health in Texas”. The Virtual Museum will be a work in progress that ultimately will tell the story of how public health has contributed to the quality of life we enjoy today and far into the future using education, science and research and applying these elements to populations and communities within Texas. If you have materials, stories, artifacts, etc. that you think appropriate for the Virtual Museum that would provide a piece of history, education, science or research, contact anyone on the Executive Committee for instructions on how to submit them.